The next London Gas Drinks will take place on Thursday 29th October 2015. If you live in the London area why not come and join us on October 29th after work. We will be at the Flowers of the Forest in Waterloo, 14 Westminster Bridge Road, SE1 7QX. The following day it’s Cambridge! So there’s plenty of build up to catch up on, plus where we’ll be meeting to get the train to Cambridge United. We’ll also be talking about our fantastic victory in the previous game against Newport County. 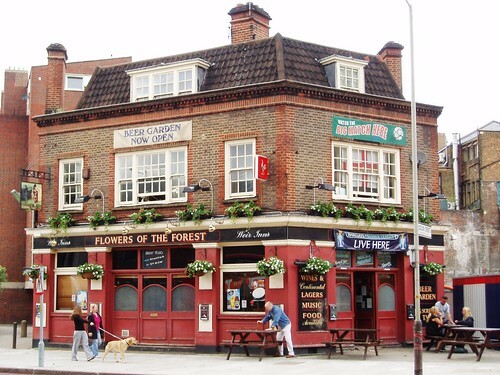 We have a new venue, The Flowers of the Forest, which will be the new pub on a trial basis. The pub is 10 minutes walk from Waterloo/Waterloo East rail and tube and Southwark tube. It is 10 mins walk from Elephant and Castle Thameslink/tube. It is and 5 minutes walk from Lambeth North tube.